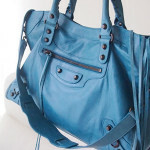 BALENCIAGA TURQUOISE FIRST | Beverly's Net: family. food. fashion. BALENCIAGA TURQUOISE FIRST – Beverly's Net: family. food. fashion. Decided to sell my Balenciaga Seafoam First last week. Whilst the colour is divine (and secretly, I got it because I knew it was the most-coveted colour ever), I think something more vibrant is more “me”. This and the Magenta are def my fave colours!! that is devine! The le dix is my favorite bag ever! Ive loved it for years since it first came out. Do you happen to know any sites that detail how to spot a fke balenciaga? Im about to purchase one and i want to make sure i can get a good deal but retain authenticity. im getting mixed up with your bags! i wish i got the bags to begin with! Great pictures of the bag. thank goodness for great lighting! The colour is so vibrant in real life, I much prefer it to Seafoam! Is that part of the current collection? It’s 2005 so now discontinued 🙁 I was really lucky to find a new one that wasn’t insanely priced *whew*! qn: do you use any products on your bags? Super different, as the teal is much much darker/sedate, more of a ‘normal’ color I guess. I finally got my current collection to the colours I like, but magenta and this turq are my faves. I use Cetaphil moisturiser on the leather if it feels dry but most of them don’t need it! love that color! i’m lusting over the day (hobo) in this color! great choice. def. prefer this over the seafoam. i posted my comment beofre reading it.. sorry. Thanks! There’s a City on ebay right now but the price is @_@ … if you come across any, let me know ok? Thanks babe!